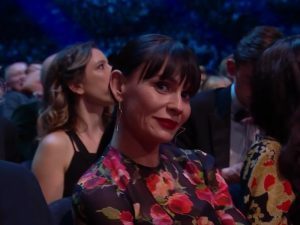 The Emmerdaily contributor @IShipVanity explains why she thinks Emmerdale’s success at the National Television Awards for the third year running is a clear message from the ITV serial drama’s fans. In a glamour filled night, the great and good of the entertainment industry assembled for the NTAs at the 02 arena in London. Cast and creatives boarding trains south, a loyal army of Emmerdale fans were doing the same from all across the United Kingdom. Descending upon the capital, they had their fingers crossed that Emmerdale, Lucy Pargeter (Chas Dingle), Emma Atkins (Charity Dingle), and James Moore (Ryan Stocks) would walk away with one of the most important awards the British viewing public could bestow upon them. Whilst it wasn’t the clean sweep the viewers may have hoped for, this was firmly Emmerdale’s night in the big smoke. 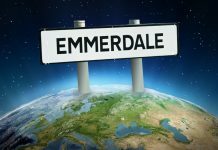 Previously classed as the underdog to the heavyweights of Eastenders and Coronation Street, it has been a long time since the Yorkshire soap was punching above it’s weight. 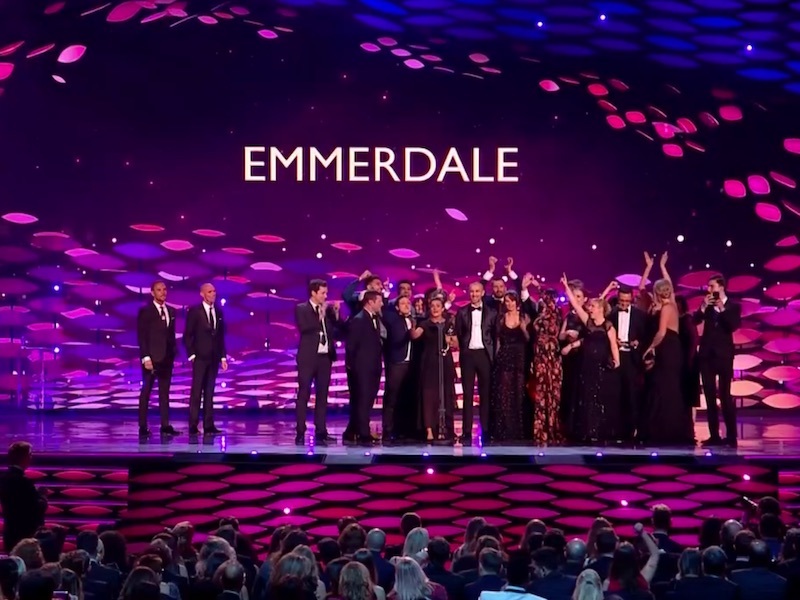 Winning the Serial Drama award for the third year in a row, Emmerdale demonstrated two things – its storylines are captivating the audience’s attention and its viewers want to ensure those involved in creating their favourite soap would be richly rewarded for those efforts. There has been the well-trodden line of some within the audience on social media declaring Emmerdale wouldn’t win awards for the storylines that overstep the boundaries. But the viewers sent an unequivocal message last night that for them Emmerdale really is the toast of the soap world. It’s a testament to the viewers who really got the equivalency of the political ‘get out the vote’ ground game going. The social media push by fans was telling as the mainstream press and commentators tilting towards Coronation Street. But the bookies saw Emmerdale as clear favourites, and it was the consistent calls to get fans voting that eventually won out, leading to Isabel Hodgins (Victoria Sugden) who was charged to give Emmerdale’s acceptance speech thanking the fans: “We would not have a show without you. Your support is incredible.” It truly is and it is through the effective vote ground game, the cast and creatives returned to Yorkshire with new silverware. Sadly, Lucy and Emma’s frankly incredible performances were not rewarded with an NTA, the split vote working firmly against them as the audience’s loyalties were torn. However, there was a hugely seminal moment – not only for the soap but for British society and the TV industry in general – when James Moore picked up the Newcomer award to the absolute delight from his colleagues and viewers alike. His route to the stage with his friend Glenn deserves a best partnership award if ever there was one. That’s the point isn’t it, TV needs characters like Ryan in this day and age. Actors on screen who are exceptional at what they do, booked for their talent not disability as part of a tick box exercise. This wasn’t a sympathy vote either, James is an actor with great range and skill. His advocacy off screen is of huge value, the vote ground game was massive for him. Leading him to post on social media clutching his award saying: “You did this,” meaning the viewers made it possible. 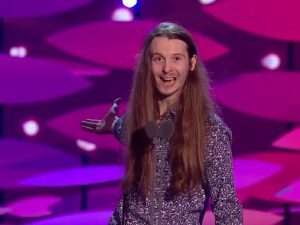 His acceptance speech a powerful message of hope and empowerment, almost laying down a challenge to society and the wider industry. Much as Emmerdale winning was important, this was the most pivotal and critical of the entire night. 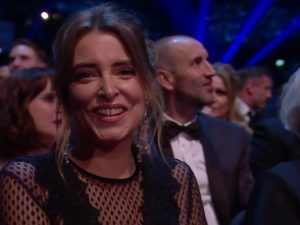 Emma Atkins’s reaction the barometer of the feeling within the viewership. Emmerdale triumphed where even I was pessimistic in its chances, never again! For this was the viewers showing they deeply care no matter what a few dissenting voices in the small minority think. Emmerdale deserved its night on the town, and I hope they revelled in it. Here is to a rather successful 2019! Emmerdale Opinion: Why Amy Wyatt’s return is set to rock the village! Emmerdale Opinions: Matty and Ryan: Why representation matters! Emmerdale Opinions: Maya & Jacob’s storyline should be uncomfortable to watch!